concept works in practice. Third, the book has a decision-making emphasis, providing contemporary tools that readers will find useful when making decisions in the contemporary business environment. Finally, Agribusiness Management offers a pertinent set of discussion questions and case studies that will allow the reader to apply the material covered in real-world situations. 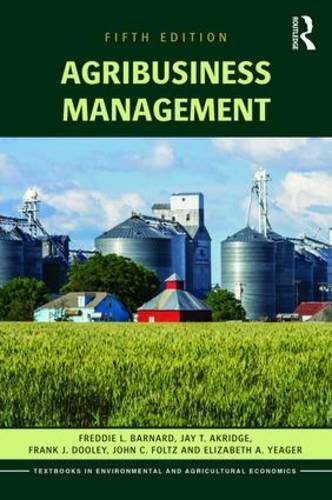 This fifth edition of Agribusiness Management has been updated throughout and continues to provide students and adult learners with an essential understanding of what it takes to be a successful agribusiness manager in today's rapidly evolving, highly unpredictable marketplace. FRANK J. DOOLEY is Research Economist in the Upper Great Plains Transportation Institute at North Dakota State University.